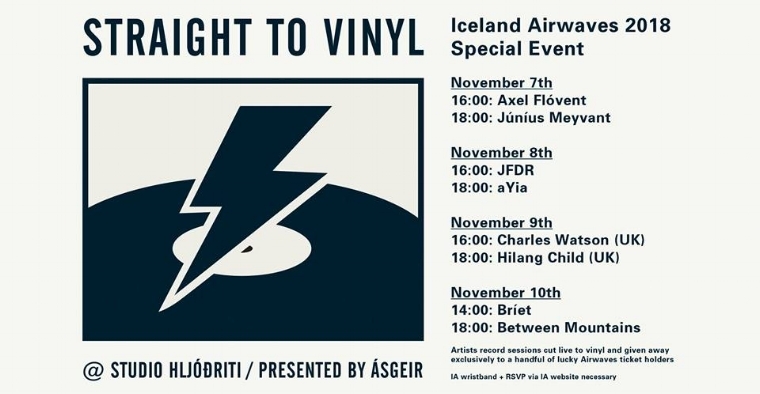 Ásgeir curates a series of live recording day shows, where he's invited a select number of acts, Icelandic and international, to record sessions cut live to vinyl and given away exclusively to a handful of very lucky Airwaves ticket holders. Schedule below. Please note that capacity to this event is extremely limited. Please be respectful and don’t sign up if you’re not sure if you can attend. If you sign up and find you can’t attend, please e-mail Iceland Airwaves at info@icelandairwaves.is and they’ll find someone who will be happy to take your place. Stay tuned for details about daily live streaming from these event! Public transport (Strætó / Bus): Route nr 1 from down town Reykjavík to Hafnarfjörður. Leave bus at Hraunbrún and walk to Trönuhraun 6. The studio is at second floor.